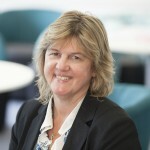 Head of Global Patient Safety Summit and Connecting at the Department of Health (DH). Jane has a long background as a nurse and NHS manager and joined DH in 2000 to lead child health policy. Since becoming a senior civil servant in 2006, Jane has led on a number of key policy and corporate areas and projects. Here’s to a second year of connecting!